Mojang’s block-building sensation makes it to Nintendo’s Wii U at long last next week, bundled with six popular texture packs with an additional 16 more available for purchase at launch. Skyrim on Wii U, anyone? It’s about damn time, really. And it’s something we’ve been asking Nintendo about for years. 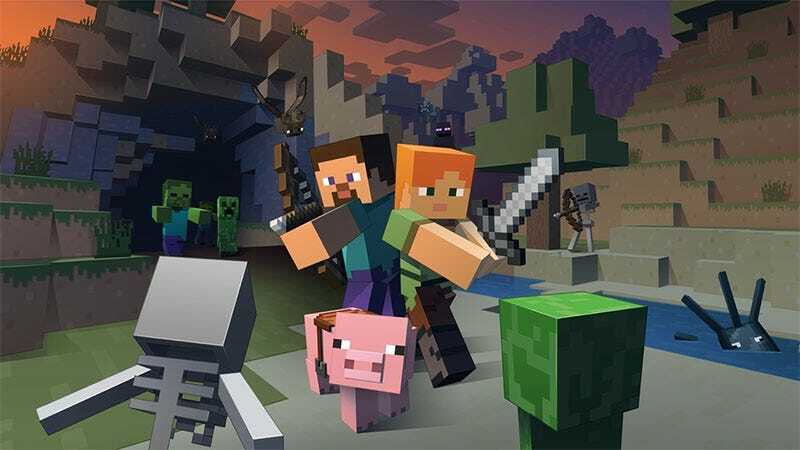 If there’s any game that benefits from a second screen experience and the ability to play completely on the Wii U game pad it’s Minecraft. The $29.99 price tag might seem a bit steep (especialy to those who’ve purchased the game multiple times over already), but what else are you going to spend your Wii U money on, Devil’s Third? The official press release also mentions that Mojang and Nintendo are working together to creature future texture packs for the game, so don’t worry—those licensed Mario blocks are almost a sure thing. Man, I’m going to need to free up some hard drive space now.